All over the world, many pet owners have not been able to sustain their garden. Some, who are fond of cats, have to replace their plants from time to time. While a majority who keep dogs have to hire someone to mow their lawn. These animals can be trained about certain things in order to avoid any kind of inconvenience. However, even with proper training, you still cannot look after them most of the time. Sometimes, they might dig the ground, or even get hurt due to the sharpness of the uncut grass. Do we really need to mention the entire muddle that these fluffs create on a regular basis? With artificial grass, you might not face even a single issue. If you install the one manufactured by K9 turf, you will gain many benefits. In this article, we will mainly discuss some of the main advantages of artificial turf, which is specifically made by K9 Turf. We have been in the synthetic turf business since 1987. This is the main reason why we have acquired expertise in fitting turfs in homes and private spaces. Our products come with a lifetime warranty of at least 18 years. You do not have to spend extra money on maintaining it. It will remain in its form for sufficient time. Our expert installers have worked with various clients. Therefore, we are aware that each person has specific requirements. Which is why our proficient workers can consult you even on the most complicated matters. 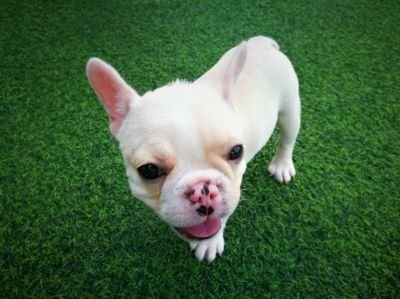 Aside from providing quality artificial grass for dogs, we try to finish our work within the particular period. That being said, we always find a way to give you cost-effective solutions. Strong Base that is made from Creased Grano and Rocks. The Polyurethane ProFlow Backing system will provide excellent drainage system. Our Zeolite Turf infill will remove all the toxic ammonia gases that appear due to dog waste. Our enzyme cleaner will act as an organic waste degrader. You do not have to spend money on hiring a gardener to cut your grass. You do not have to water it as well. This way, you will save your electricity bill as well. There is also no need to buy pesticides. As a result, you will be able to breathe in a clean environment. The smooth surface will allow your pet to walk and run for as long as they want. Even if you are not home, you can remain sure that your pet is safe.